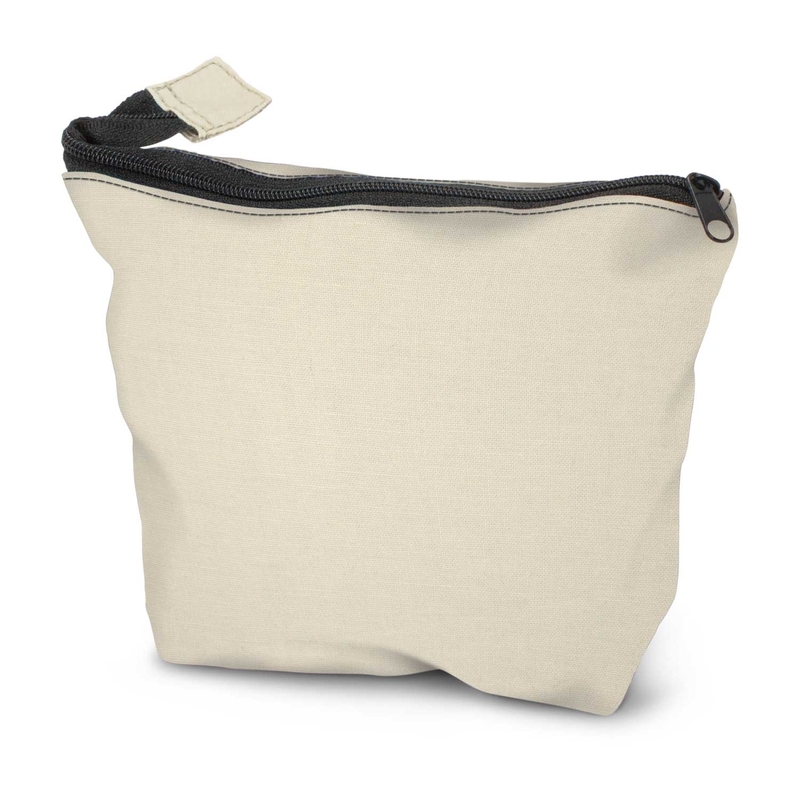 A full colour decorated cosmetic bag made from 140gsm cotton. Production time: Usually 15-20 working days after artwork approval. 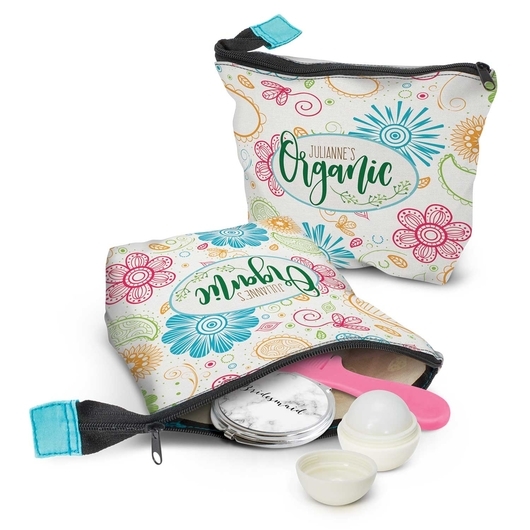 Store all of your favourite beauty and health products in these fantastic cosmetic bags. They are made from 140gsm cotton and have a black zippered closure with a colour tag on the end of the zip which is available in 16 different colours. The stitching will match the colour tag unless requested otherwise. These are branded in stunning full colour on both sides for no additional cost! Why not pair this with another promotional beauty item to complete the gift?